I got a hilarious little bit of physical spam in the mail (we used to have a name for this junk, didn't we? ), and thought I'd share it with you. I got this letter to the Resident of my address. 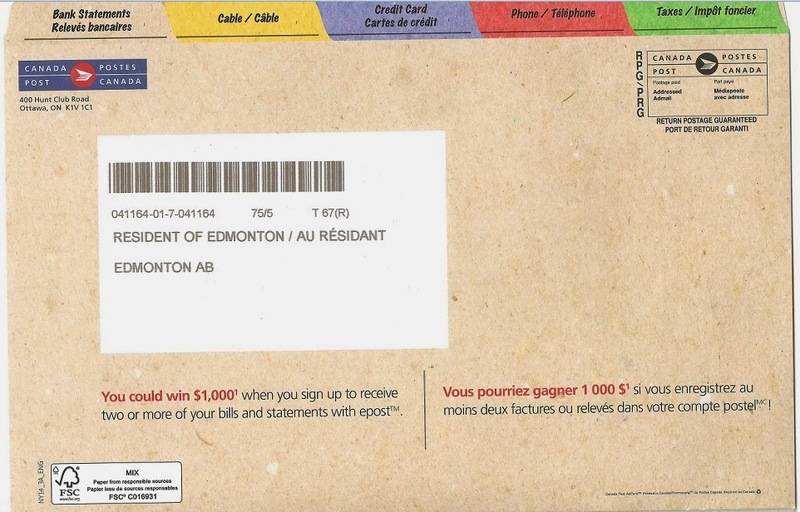 You get these all the time from Leon's, Telus, Cutco, The Chevy Farm, etc. etc. It's a basic staple, and speaking of basic staples those Grocery People are the worst at sending this crap out, aren't they? 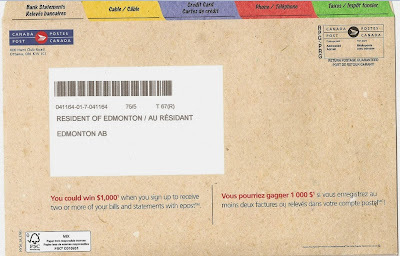 Anyways, I am happy to pretend that Telus doesn't know who lives in my place, but is it a convenient fiction or a hilarious oversight that the goddamned Post Office sends something to "Resident?" I mean seriously, you guys don't know who lives in my house? It's your job, that's entirely what you do!